Many people in the middle of a custody dispute believe that their only option is taking serious matters to court. However, you may have one other option that will help you in your time of need – mediation. Mediation is one of the best ways to come to terms on an agreement instead of going through the expensive and time-consuming process of custody lawsuits. There are many great advantages to using mediation versus a court hearing. Mediation is typically a lot cheaper in the way that it does not require that both sides have an attorney or hours of court time speaking to witnesses and more. Mediation is also one of the best ways to get both sides to communicate properly, resolving many issues that the child will benefit from. Mediation is also one of the quickest options, offering settlement in as little as a few hours rather than multiple court sessions. Before you get ready for mediation, you should always speak to an experienced attorney on these matters. 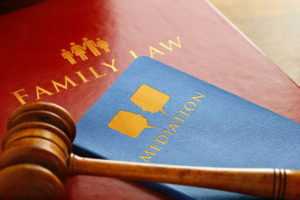 You should always be aware of your custody rights before you go to mediation. It is also a good idea to prepare by writing detailed daily schedules for you and your child and making a proposal that you can show to the mediator and your ex-spouse. When you dive into the mediation process, you will be getting the start you and your child need on court orders. The steps will include meeting with the mediator, identifying and categorizing a wide variety of issues, discussing solutions with an open mind, and drafting a custody agreement that you feel comfortable with. When you request a mediation, you should come into it with an open mind. The main focus of mediation is to tailor a schedule that works in your child’s best interests, and not a way for you to argue with your ex-spouse over matters. 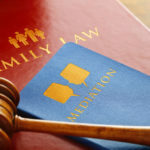 Mediation is a less stressful way for you to handle custody matters. 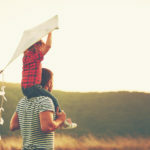 Resolving custody disputes, as you know, can be overwhelming and painful at times. By having open and honest discussions through mediation, many problems can be resolved in an easy manner and both parents will end up thinking along the same lines. It is important to speak to an attorney you trust today to move forth with mediation, if you believe it works best for your case.